As part of the Governments Energy Company Obligation (ECO) Scheme, home owners and private tenants may be eligible to have their old, inefficient boiler replaced with a brand new, free boiler. This service is completely free of charge, simply complete our online application form to see if you qualify. What is the Government ECO Free Boiler Scheme? The ECO Scheme is an initiative from the Government to aid low income households. The scheme aims to tackle the cost of energy, reducing the cost of heating bills, whilst reducing the carbon footprint of old, inefficient energy in homes. Our simple to use, quick and easy online application process can instantly show your eligibility for the scheme. If you qualify for one of the ECO Scheme, free boiler grant's, then one of our, Government, approved installers will be in touch to take your grant process through to completion. The free boiler grants as part of the ECO Scheme are non-repayable, so cost you nothing. All that is required, is to meet the qualification criteria. To qualify you must be a home owner or private tenant with a property that has a gas boiler over 8 years old and be receiving one of the benefits outlined on our 'who qualifies' page. Read more. It's never been simpler to apply for a free boiler, simply use our quick online application to submit your details. Your eligibility will be checked and then passed to an approved installer. Apply now. Our online application is a no obligation, free to use service and if you meet the required criteria an installer will complete your grant process and install your new boiler completely free. Apply now. Benefit from a new boiler this winter and help reduce your gas heating bills. The ECO Scheme aims to replace old gas boilers with more energy efficient boilers that help reduce your energy costs and to help the environment by reducing your carbon footprint. 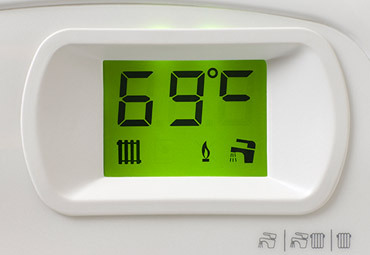 On top of a new, free boiler, additional heating controls for the new system will be installed as part of an approved grant process to help you further reduce heating expenses by more efficient control and scheduling of your heating system. The Energy Company Obligation (ECO) Scheme is available throughout England, Scotland and Wales. This is why we have an extensive team of local, expert installers in a variety of locations throughout the UK. Below are just a handful of the locations that our local installers cover. The Governments Energy Company Obligation (ECO) Scheme grants are available across England, Wales and Scotland. Check your eligibility online now and you will be referred to one of our approved installers.